The Nashville-based Davis slots into the introspective singer-songwriter mold, but that pigeonhole doesn’t do her talent justice. She ups the production values on Cactus with assistance from multi-instrumentalist Jordan Lehning who feels like a partner in this album’s sonic palette. The enhanced backing on songs like “33” and especially the closing, near cinematic “Don’t Bring Me Flowers” is a major ingredient here. But his influence bolstering these songs with strings and crying, not especially country-styed, pedal steel from Steelism’s Spencer Cullum wouldn’t mean much without Davis’ quality tunes and powerful, emotionally strident voice. Davis makes no excuses for her independence. Rather she glorifies it in the title track where she warns a romantic partner, “I’ll burn a path to your heart/ from the start then I’ll run away/ so if you’re looking for love/ honey you should just stay away … I’m not hanging around” before a screaming guitar enters punctuating that declaration. She’s a lone wolf, although perhaps not entirely comfortable in the guise, as she implies in a song with that title where she admits “Someone like me just might be out of luck/ I try to change but I only give up,” atop one of this album’s sweetest melodies. Davis has an alter-ego too, someone she names “Moody Marilyn,” a darker side that “is just part of my soul,” as elegiac strings heighten the ominous concept, shifting the song from softly strummed ballad to a moody rumbling and back again, all in four minutes. 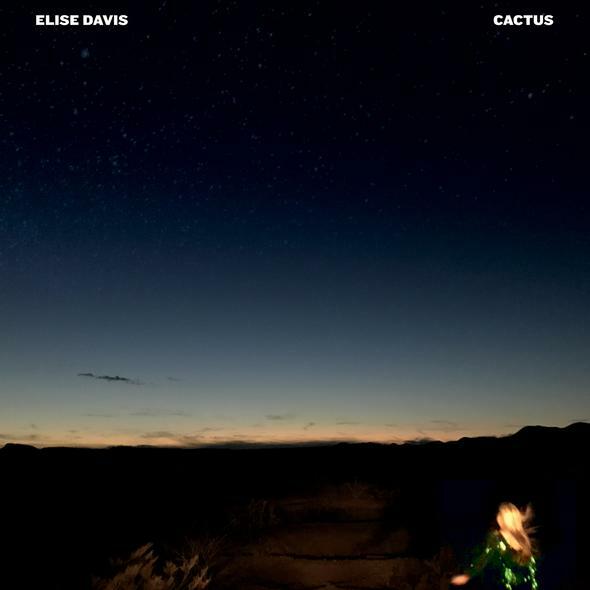 After spending just over a half an hour with Elise Davis and these songs, you’ll think you’ve thumbed through her most personal, intimate musings. She expresses her foibles, quirks, strengths and insecurities for all to see over subtly catchy folk/pop tunes that feel as authentic and honest as her lyrical revelations.